We have had a couple of social gatherings of SOTA fans in vk1. They have been successful in getting people to meet, for the first time for some of us, and have allowed some off-air discussions in a relaxed situation. We have met at a football club with a reasonable bistro but other venues would also be just as good. We have talked about batteries, backpacks, squid poles, antennas, radios, explosives and additional summits to be added to the vk1 summit list. With several experienced activators present there is plenty of free advice for beginners. Highly recommended for other SOTA groups. 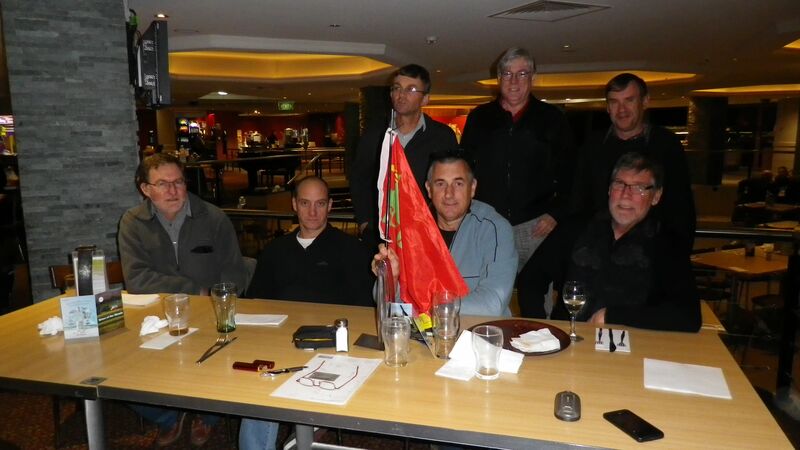 Here are some photos of the VK1 group at the Ainslie Football club bistro on 4th June 2013. Standing: Al VK1RX, Peter VK1XP, Ian VK1DI. 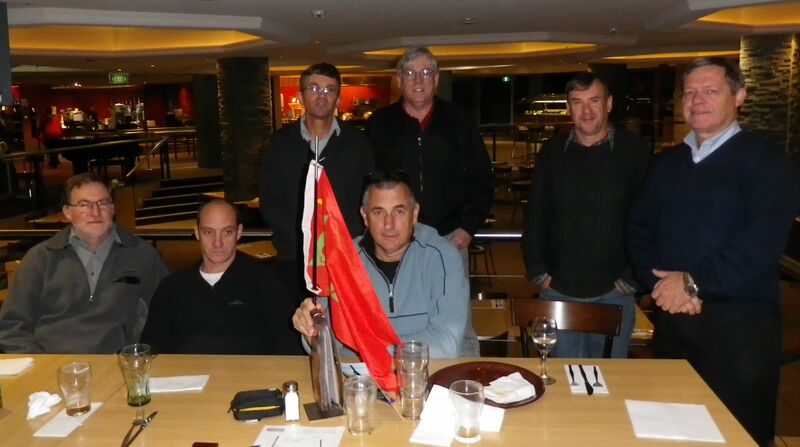 Seated: Andrew VK1MBE, Mark VK1MDC, Andrew VK1NAM (with flag), James VK1DR. James was kind enough to take another shot that includes me.